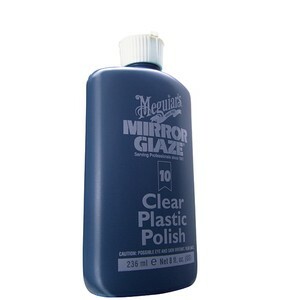 Meguiar's Plastic Polish for boats helps to safely restore the optic clarity to all your boat's clear plastics. It also gives your boat's plastics a static-free coating that repels dust and is safe and effective on both acrylic and polycarbonate surfaces. Perfect for Boats, RV's, Aircrafts, Cars, and more.